In addition to ForTec Medical’s extensive mobile technology programs, we offer a variety of medical devices for sale with favorable and flexible purchase options. Equip your medical facility with a long-standing advantage, in the form of industry-leading medical devices from dedicated manufacturers. We also provide a range of laser fibers for use across diversified technology platforms. Our finest holmium fiber has numerous unique clinical benefits over other flat and ball tip holmium fibers. 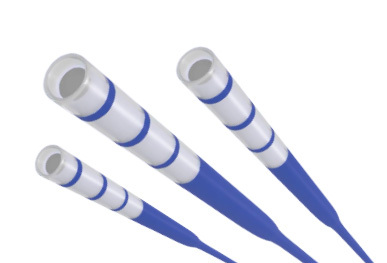 Acclaimed Safety Sheath technology eliminates interference with the scope’s working channel, eliminates fiber tip degradation and provides for easy flex scope passage. With a rounded tip design, this fiber assists in reducing damage to the working channel of the ureteroscope. Compatible with all CO2 lasers, the Imperium CO2 fiber is available in a range of sizes.